A number of distinct cats are found around the world, but only some are Most Expensive Cats in the world, with so many unheard cat breeds, there’s always curiosity even amid the non-cat owners to know a thing or two about them. Country of origin: Russia. 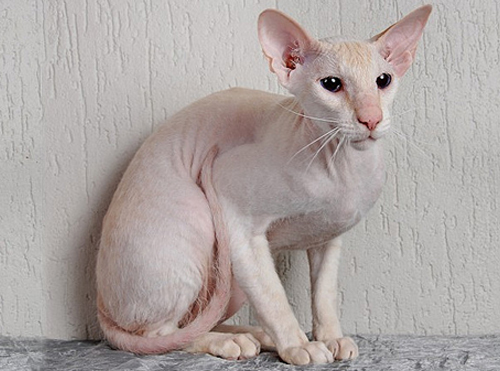 The Peterbald was created in St. Petersburg in 1994. Description: These kitties come in various colors with little or no hair, have a slim yet muscular physique, large almond shaped eyes, a whip-like long tail and oval shaped paws with webbed feet. Temperament: This cat is affectionate and peace loving. It gets along well with children and other pets. It is energetic and also loves to follow their humans around in order to be close to them. Their average body temperature is around 40-41 degrees celcius, higher body temperature enables faster & better healing of wounds/scratches and fights illnesses. Peterbald Cats needs to be kept away from direct sunlight in summers as it can burn very easily. Description: This breed comes with a muscular build, wedge shaped head, striking cheekbones, large ears and eyes, a round belly & a whip-like tail. Temperament: This cat is social, very energetic, intelligent, loving towards their owners, known to greet its humans at the door like dogs and friendly with even strangers. 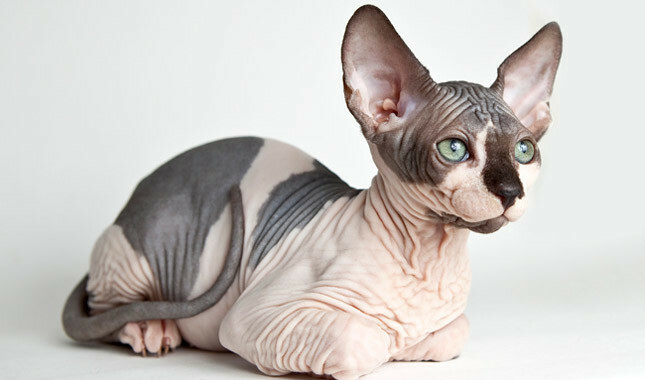 Sphynx cannot tolerate too much sunlight exposure as it can suffer sunburn and skin damage. During winter months this breed requires warm clothing/coats to conserve body heat. 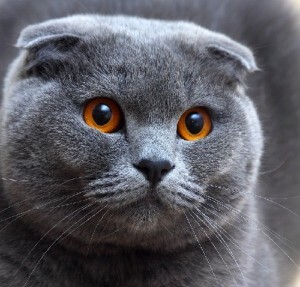 Description: Scottish folds come with long or short fur in different colors and markings. 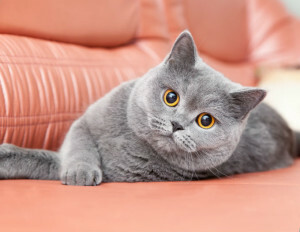 They have round face and circular eyes, short muzzle, short to medium legs and their most striking feature is the folded flat ears that face downward towards the face and gives the kitty an owl-like look. This fold is a result of natural dominant gene-mutation in the ear cartilage. Description: It looks like a teddy bear owing to its round face and thick fur coat. Short hairs come in various coat colors such as blue, black, red, white, golden, silver, fawn and cinnamon. 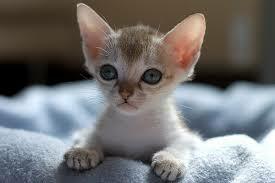 It can be either a solid color or shaded, tabby, color-point or bi-colour patterns. This cat has a large head, broad cheeks, short snout and big & round eyes. Its medium-sized ears are broad at the bottom and pointy at the top. This kitty has short legs and appears sturdy & compact. Country of origin: Russia. It has been present here since centuries. Description: It has a stout physique with strong hind legs and round paws. Its hind-legs are slightly longer than the front limbs and this creates an arch on their back. This form enables the breed to be more agile & athletic. Its tail is large and fluffy. The face has round & large eyes that adds to the cuteness factor to its face. Temperament: The Siberian cats are calm, carefree and fearless. They gel well with dogs, other pet animals and kids. They enjoy being close to their owners. They somehow get to know when their human requires moral and emotional support and offer the same from time to time. It is a playful kitty that excels in performing acrobatic movements like somersaults. Description: The fur is short and silky. It comes only in one color and the coat’s pattern is called the ticked tabby. There are alternating segments of dark and light hair strands. This cat’s head is round that rests on a thick neck. Its eyes are almond shaped. The ears are big and deep. 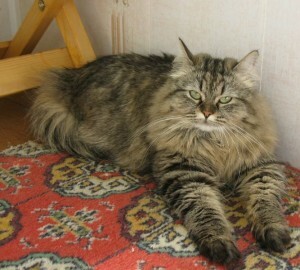 Temperament: An affectionatefeline that is also good with children above 6 years of age. It is loyal to its human family. 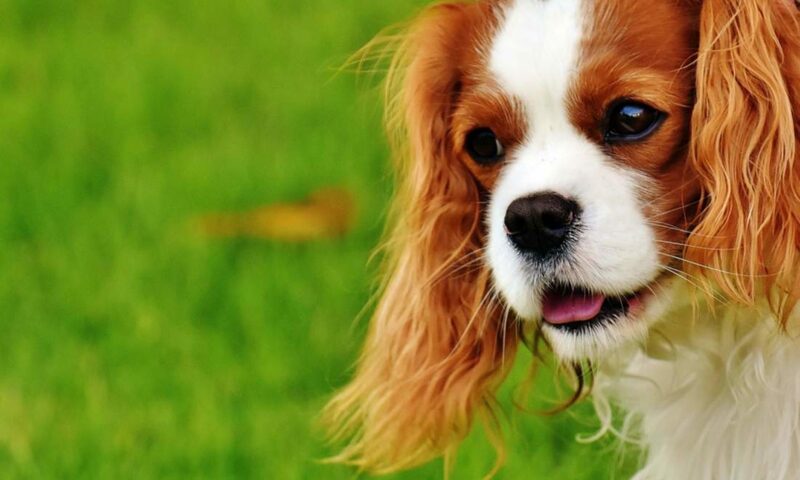 This breed is lively, curious and intelligent. Description: Turkish Angoras are thought to be white cats. However they come in a variety of colors and markings. They have long, plush coats and curvy bodies. The almond shaped eyes can be blue, green , yellow or amber in color. 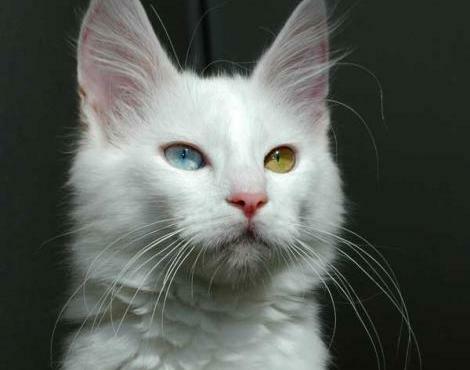 This kitty can also have heterochromatic eyes which means one eye can be blue and the other amber or green. The ears are pointed & set far apart. Temperament: It is an active, athletic and intelligent breed. This cat is known to exhibit problem solving skills and is also capable of opening cabinet doors & turning the faucets on. This feline often chooses a favorite person from among its human family members. It stays clingy and protective towards its favorite human. Turkish angoras adjust well with cat friendly dogs and well-behaved children. They are also welcoming towards guests. However adults in the home need to supervise the kids while they interact with any pet to make sure children do not pull the latter’s tail or hair.